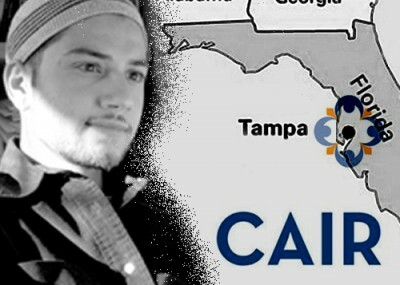 For a group which claims to stand against terrorism, the Council on American-Islamic Relations (CAIR) made an odd choice for the new chief of its Tampa chapter. Hassan Shibly has a track record of defending terrorist groups and acting as an apologist for radical Islam. Following the 2006 Israel-Lebanon War, Shibly granted legitimacy to Hizballah by characterizing it as a "resistance movement" that provides valued social services to the Lebanese people. "They're absolutely not a terrorist organization," Shibly said, and "any war against them is illegitimate." As a testament to his support for Hizballah's cause, Shibly even expressed a desire to travel to Lebanon to aid the group's war effort. When asked to explicitly condemn Hamas and Hezbollah as terrorist groups, Shibly wouldn't. "Of course we condemn every single act of violence directed against—by Hamas and by Hizballah—directed against civilians," Shibly said in a Feb. 28 lecture at a church in Youngstown, N.Y. "But the trick we fall into is when we want to condemn them as a whole we completely cut off any chances for having a peace process." To the public, however, CAIR offers a gentler face for Shibly. His CAIR biography casts him as a man who works actively with inter-faith and social service organizations to "promote cooperation and understanding between diverse faiths and cultures." In a statement to the Tampa public, Shibly wrote "It is essential we work together as a community, with all those who stand for peace, freedom, love, and mutual respect, to counter those who wish to promote fear, hatred, and violence." But on his own Facebook page, Shibly defended a radical imam killed by the FBI after he opened fire on agents moving in to arrest him. In an October 2009 post, Shibly questioned the use of force against Imam Luqman Abdullah even though the criminal complaint against him made it clear Abdullah advocated violent jihad and urged followers never to surrender peacefully to authorities. CAIR also championed Abdullah's case, with the executive director of its Michigan chapter, Dawud Walid, unleashing a series of conspiratorial tirades against the government for its actions against the armed imam. Shibly's online profile also features American-born Islamic cleric Khalid Yasin as an "Interest." Yasin is known for his controversial views, including a 2005 interview in which he says that Muslims cannot be friends with non-Muslims; that suicide bombings are understandable; and that the U.S. orchestrated 9/11 to wage a war against Islam. "There's no such thing as a Muslim having a non-Muslim friend," he said. "If you prefer the clothing of the kafirs [disbelievers] over the clothing of the Muslims, most of those names that's on most of those clothings is (sic) faggots, homosexuals and lesbians." Yasin goes further, encouraging children to take up the "honor" of throwing stones and confronting Israeli soldiers when there are no more men left to do it. In an interview with Pajamas Media in July 2010, Shibly said he was unaware of Yasin's contentious remarks and appreciated being informed of them. Yet almost a year later, Yasin still appears on Shibly's profile. These negative representations of Shibly become less surprising when one considers his religious inspiration. Shibly's understanding of tolerance and justice admittedly come from his father, who studied under Sheikh Ahmad Kuftaro, the former Grand Mufti of Syria, and his protégé, Sheikh Rajab Deeb. While Kuftaro promoted interfaith cooperation on his English-language site, in Arabic, he accused the "Jewish lobby" of controlling world opinion and of being "the killers of prophets." He also asserts that "all Muslims are obligated to do jihad upon the Zionists." Similarly, Deeb wrote that Jews "want to remove and destroy every trace except for their footsteps… and eradicate every race except their race, and they claim to be God's Chosen People." Shibly seems to have adopted anti-Semitic and anti-Israel views of his own. 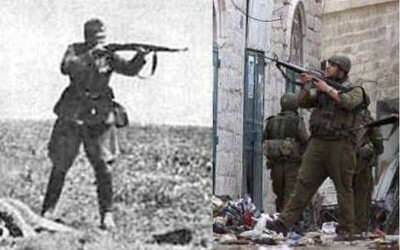 In one of his Facebook notes, Shibly equates Israelis with Nazis, juxtaposing images from the Holocaust with images of Israeli soldiers interacting with Palestinians. He also describes Israel as an apartheid state and frequently denounces its "state terrorism." Shibly's disdain for Israel is matched only by his ill-will towards America. In his recent Tampa address, Shibly calls America "a great nation." However, earlier statements, blogs, and Facebook posts suggest he feels otherwise. In addition to expressing distrust of government agencies, like the FBI, Shibly has also linked to an article calling President Bush a war criminal; accused America of being imperialistic and consumed by its pursuit of oil; and endorsed conspiracy theories about U.S. actions, including questioning the U.S. 9/11 narrative and promoting the idea that the U.S. backs Iraqi suicide bombings to justify its presence there. Shibly's support of tolerance and civil rights doesn't extend to homosexuals either. "This issue really comes down to weather [sic] a person believes in God or not," it says in an article posted on his Facebook and Twitter pages about gay marriage. "Thus for example, if God says marriage is solely between a man and women, or, if He permits polygamy, then so be it. Who are we to question God? A slave has no authority to question the King in his own kingdom." In 2004, Shibly was detained with several others at the Canadian border while returning from the "Reviving Islamic Spirit" conference in Toronto. The conference featured a host of controversial speakers, including the virulent anti-Semite Louis Farrakhan and William Baker, an anti-Semite with neo-Nazi connections. Shibly sued the Department of Homeland Security for what he believed was racial profiling, but lost the initial case and the appeal after courts found his detainment was not overly intrusive. "In this instance, we had credible intelligence that conferences similar to the one from which these individuals were leaving were being used by terrorist organizations to fundraise and to hide the travel of terrorists themselves," said Kristi Clemens, spokeswoman for U.S. Customs and Border Protection. In an effort to blur the connection between Islam and terrorism, Shibly misrepresented facts, like those taken from this European Union study, in a church lecture in February. While Shibly accurately stated that Islamists were responsible for the smallest percentage of terrorist attacks in the EU between 2006-08, he failed to mention other significant findings. Among them are that several EU member states believe that they continue to face a high-level threat from Islamist terrorism; of 384 terrorism verdicts in 2008, half were related to Islamist terrorism; and Islamists engage in the least targeted killing, aiming for mass casualties with their attacks. Shibly has said that his online posts and choice of scholarly sources don't necessary reflect his true opinions, but he fails to provide comments contradicting the views expressed or other sources presenting opposing viewpoints. "Mr. Shibly seems at times to support or work with Islamists who are leading advocates for political Islam," wrote M. Zuhdi Jasser, the founder of the American-Islamic Forum for Democracy. "But when they [Islamists] become violent, he tries to distance himself with no corroborating public record to demonstrate a genuine ideological battle."